1. 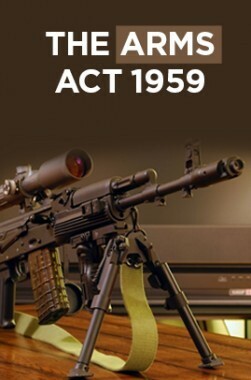 Short title, extent called the Arms Act, 1959. 2 It extends to the whole of India. 3 It shall come into force on such date 1 as the Central Government may, by notification in the Official Gezette, appoint.